November has gone by in a blur of pain, starting with back pain, for which I began chiropractic treatment, but was finding absolutely no relief. Then, on Saturday November 14, I was admitted to the hospital, via the Emergency Room, with some of the worst back and belly pain ever. Morphine became my new best friend. It was a kidney stone. With no improvement in pain levels (absent the meds) by Monday, a decision was made to proceed with surgery. Really it is a procedure, no cutting involved, called a ureteroscopy and the use of a laser to break up the stone (which was too large and too high up to pass on its own) into tiny fragments which can then pass on their own. The procedure is done under general anesthesia. Surgery was 2 p.m. on Monday and I was back in my room by 5:30 or so. And discharged home on Tuesday morning. I spent the remainder of last week going through the basic motions of living while still in a lot of pain. Friday I had the stent (the worst part of the entire ordeal) removed. Today is the first day I have felt almost human again. And I am so incredibly grateful. For the excellent medical facilities, for all the nurses who took such good care of me, for a relatively quick diagnosis and resolution, for the fact that I am home and able to celebrate Thanksgiving with my family - and all my girls are home too! So I came to my blog feed to catch up on things and with over 200 unread posts, I had to declare amnesty. I have read or skimmed most of your news, but commented on very few things. Please forgive me. I hope to do better as I feel better! 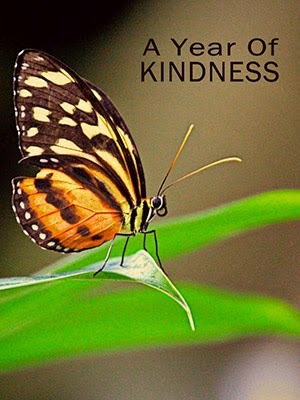 It is also time to catch up with my Kindness Challenge blog posts. Having missed last Monday, I have two today. So I opened my calendar in which I had laid out suggested topics for the year... and what do I have written down for Week 46, for the very Monday I was in surgery? Surely you have to see the humor in that? I laughed out loud when I read it. I had never considered the possibility that I would be one myself! But having been there, let me just suggest this... if you hear of a friend or relative who is feeling poorly or in the hospital, reach out! Phone, text, visit, whatever. Plan to keep your outreach short - people in pain tend to tire very easily. But the contact I had while in the hospital, in the form of flowers, phone calls, text messages, Facebook comments, really did help me to feel better. To know that I wasn't alone. To know that people were thinking of me, praying for me, and wishing me well. I am SO GRATEFUL! Which brings me to today. To Week 47 of the Kindness Challenge. And this week, being Thanksgiving week here in the U.S., my challenge to you is to EXPRESS GRATITUDE. Think about all the things you have to be grateful for and express it! Say it in a blog post, say it in a scrapbook layout, tell the people you love how grateful you are to have them in your lives... however you wish to go about it is fine, but make this week the time to acknowledge all that is right and good and beautiful in your world! I am very very sorry to hear this Cheri! Wow, what a shock. I'm wincing just thinking about that pain because I've seen someone suffer with kidney stones and it's just awful. So I'm delighted to read that you are feeling a lot better. And I love your kindness suggestion..done with real thoughtfulness. You are right: when you are sick, a short visit is much appreciated. Glad that you're home and beginning to feel a bit human again....and you are so right about needing visitors when you are in hospital. So glad to hear you are feeling better! It's happened several times this year that I seem to be in sync with your challenges. Yesterday I visited two friends who live in the same senior community. I try to get there every two weeks, but it had been nearly a month this time. Today I am truly grateful to be a grandma for the third time! Ella was born this morning, and there'll be a Zoom In, Zoom Out photo post on Wednesday! 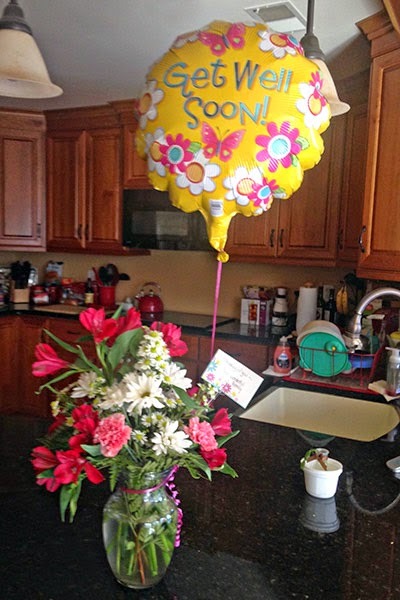 So sorry to hear this Cheri - I've known people who have kidney and gall stones and they always talk about how painful. Grateful for the quick diagnosis and treatment, hope you heal smoothly. So pleased that you are in less pain and have the joy of Thanksgiving (with a capital T and a small 't' to nourish you). Wishing you and the family lots of good things and saying thank you for all the wonderful reminders you bring us :). Dear Cheri, So sorry to hear that you have been so poorly but glad that you are home with your family especially for Thanksgiving. There is so much to be thankful for isn't there?. I'm so glad all went well with your surgery & hope you are continuing to feel better and able to enjoy your family! I'm grateful for you and your friendship! Thanks for the challenges! I'm a bit behind myself. I'm just glad that you are finally recuperating. I've never had a kidney stone and hope I never get one! Maybe you can sit back and enjoy the holidays now. Don't stress!